While browsing a wonderful website - Eating Well - I came across a pretty awesome, easy, and tasty looking recipe. Peanut butter, chocolate, pretzels? Come on, I'd be crazy to NOT try these things. Jason who "hates" peanut butter, ate almost all of the chocolate covered ones! Guess they were good, huh? 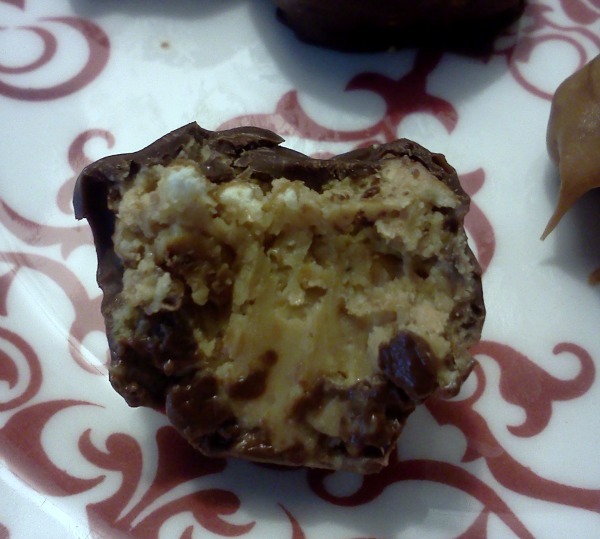 I used what I had on hand, as in semi sweet chocolate chips, creamy peanut butter, and ran out of semi sweet chips, so I melted some butterscotch ones. That didn't seem to change the yumminess of it the truffles. I personally liked the peanut butter/butterscotch combination. 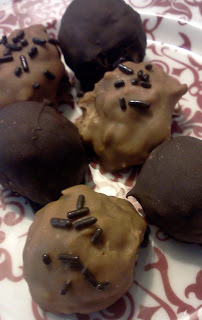 Chocolate Peanut Butter Pretzel Truffles - Adapted from Eating Well. 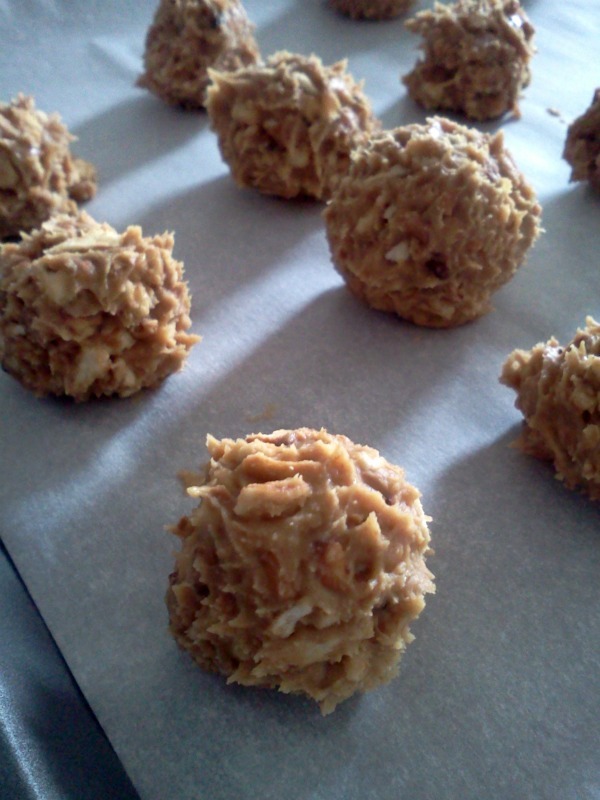 Combine peanut butter and pretzels in a small bowl. Chill in the freezer until firm, about 15 minutes. Roll the peanut butter mixture into balls, I got 15.. Place on a baking sheet lined with parchment and freeze until very firm, about 1 hour. Dip the frozen balls in melted chocolate or butterscotch. Refrigerate until the chocolate is set, about 45 minutes. Easy as that!